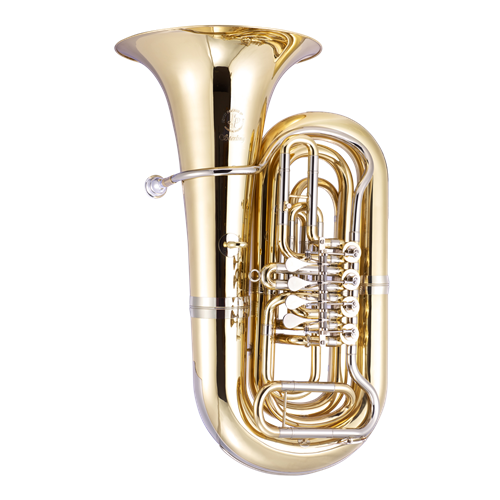 The JP379B is a fantastic quality instrument suitable for pro players who are looking for a large bore, but smaller and more compact tuba to play in orchestras. The tuba would also fit in well in concert bands and wind bands if the tuba part was for a larger instrument. Created in collaboration with Paul Riggett of Sterling Brass, the JP379B represents a fusion of professional level Sterling components and design with the affordability and durability normally associated with the JP brand. The JP379B Sterling Tuba is much like its larger brother, the JP379BB Sterling, but slightly smaller at 3/4 size rather than a full 4/4. The JP379B Sterling Tuba has been designed and manufactured in close collaboration with Paul Riggett of Sterling Brass. Widely respected as one of the leading designers and manufacturers of brass instruments in the UK, Paul previously worked as a production manager at Boosey & Hawkes before creating Sterling brass in 1987. The JP379B Sterling B Tuba incorporates an exclusively designed trademark Sterling lead-pipe. Constructed from high grade 80:20 brass, the JP379B features 4 in-line rotary valves, is of a 3/4 size and features carriage rings and a lyre box.